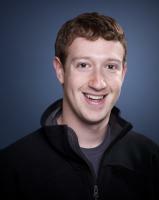 See the gallery for quotes by Mark Zuckerberg. You can to use those 8 images of quotes as a desktop wallpapers. 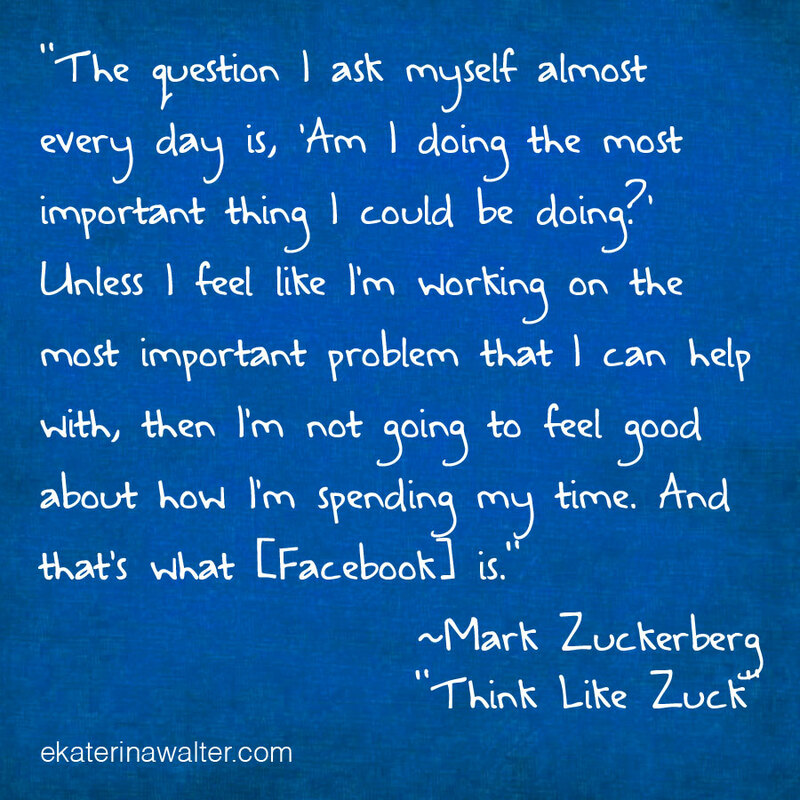 What really motivates people at Facebook is building stuff that they're proud of. 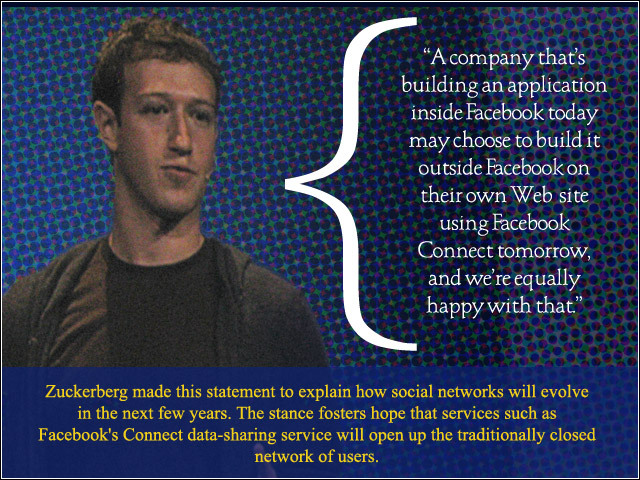 This is our commitment to users and the people who use our service, is that Facebook's a free service. It's free now. It will always be free. We make money through having advertisements and things like that. People at Facebook are fairly used to the press being nice to us or not nice to us. The companies that work are the ones that people really care about and have a vision for the world so do something you like. We want Facebook to be one of the best places people can go to learn how to build stuff. If you want to build a company, nothing better than jumping in and trying to build one. 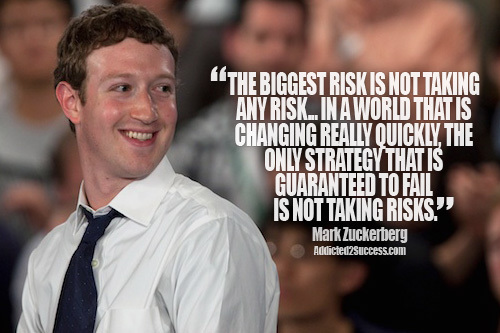 But Facebook is also great for entrepreneurs/hackers. If people want to come for a few years and move on and build something great, that's something we're proud of. My goal was never to just create a company. A lot of people misinterpret that, as if I don't care about revenue or profit or any of those things. But what not being just a company means to me is not being just that - building something that actually makes a really big change in the world. Facebook is inherently viral. There are lots of sites that include a contact importer, and for lots of them it doesn't really make sense. For Facebook it fits so well. It wasn't until a few years in that we started building some tools that made it easier to import friends to the site. That was a huge thing that spiked growth. Facebook is uniquely positioned to answer questions that people have, like, what sushi restaurants have my friends gone to in New York lately and liked? These are queries you could potentially do with Facebook that you couldn't do with anything else, we just have to do it. Games is probably the biggest industry today that has gone really social, right. I mean, the incumbent game companies are really being disrupted and are quickly trying to become social. And you have companies like Zynga. I got my first computer in the 6th grade or so. As soon as I got it, I was interested in finding out how it worked and how the programs worked and then figuring out how to write programs at just deeper and deeper levels within the system. 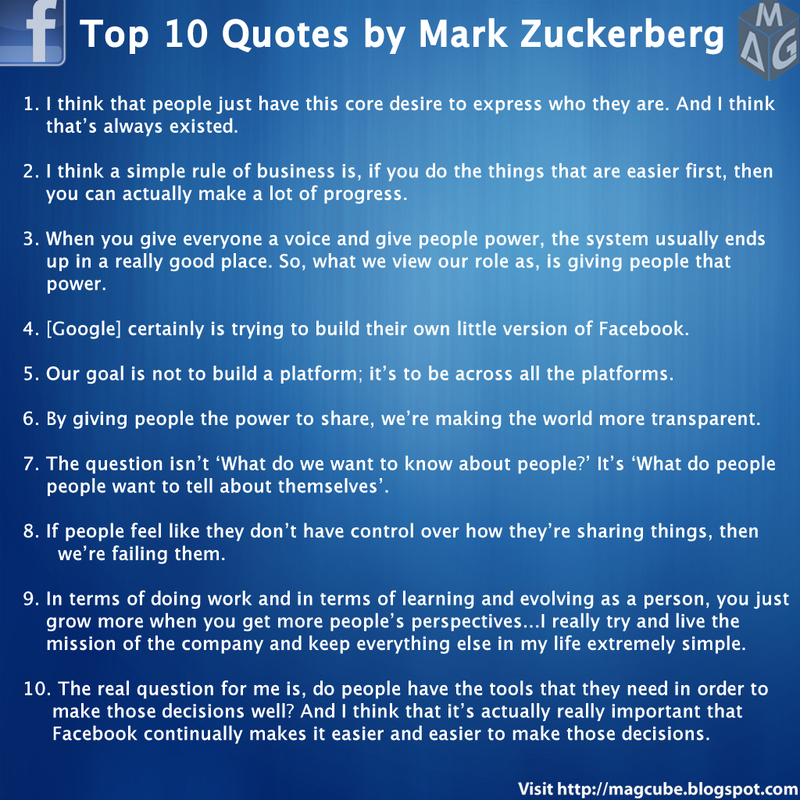 Much more quotes by Mark Zuckerberg below the page. It used to be the case, like you'd switch jobs, and then maybe you wouldn't keep in touch with all the people that you knew from that old job, just because it was too hard. But one of the things that Facebook does is it makes it really easy to just stay in touch with all these people. Look at the way celebrities and politicians are using Facebook already. When Ashton Kutcher posts a video, he gets hundreds of pieces of feedback. Maybe he doesn't have time to read them all or respond to them all, but he's getting good feedback and getting a good sense of how people are thinking about that and maybe can respond to some of it. My friends are people who like building cool stuff. We always have this joke about people who want to just start companies without making something valuable. There's a lot of that in Silicon Valley. No one has done a study on this, as far as I can tell, but I think Facebook might be the first place where a large number of people have come out. We didn't create that - society was generally ready for that. I think this is just part of the general trend that we talked about, about society being more open, and I think that's good. This is a perverse thing, personally, but I would rather be in the cycle where people are underestimating us. It gives us latitude to go out and make big bets that excite and amaze people. When I was in college I did a lot of stupid things and I don't want to make an excuse for that. Some of the things that people accuse me of are true, some of them aren't. There are pranks, IMs. I just think people have a lot of fiction. 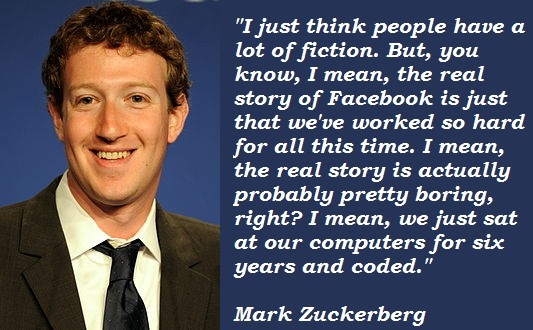 But, you know, I mean, the real story of Facebook is just that we've worked so hard for all this time. I mean, the real story is actually probably pretty boring, right? I mean, we just sat at our computers for six years and coded. I mean, we've built a lot of products that we think are good, and will help people share photos and share videos and write messages to each other. But it's really all about how people are spreading Facebook around the world in all these different countries. And that's what's so amazing about the scale that it's at today. Facebook is really about communicating and telling stories... We think that people can really help spread awareness of organ donation and that they want to participate in this to their friends. And that can be a big part of helping solve the crisis that's out there. I don't have an alarm clock. If someone needs to wake me up, then I have my BlackBerry next to me. I think that people just have this core desire to express who they are. And I think that's always existed. 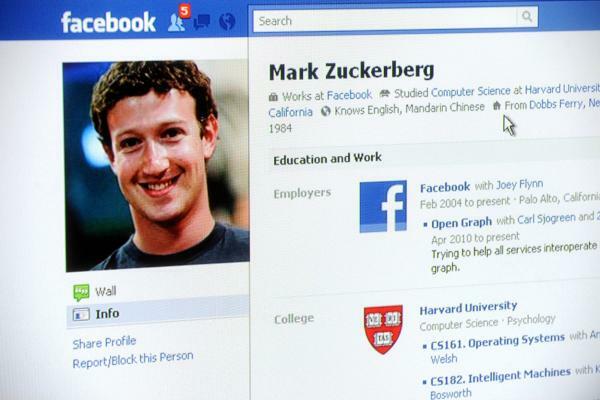 For the first time we're allowing developers who don't work at Facebook to develop applications just as if they were. That's a big deal because it means that all developers have a new way of doing business if they choose to take advantage of it. There are whole companies that are forming whose only product is a Facebook Platform application. At Facebook, we build tools to help people connect with the people they want and share what they want, and by doing this we are extending people's capacity to build and maintain relationships. The real question for me is, do people have the tools that they need in order to make those decisions well? And I think that it's actually really important that Facebook continually makes it easier and easier to make those decisions... 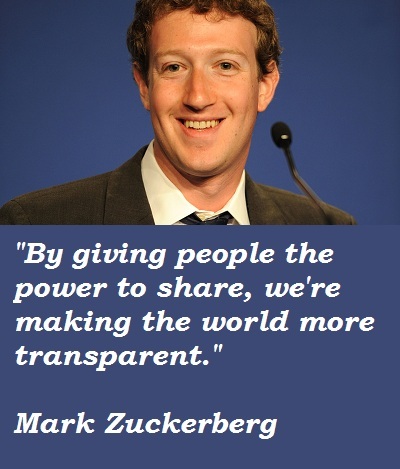 If people feel like they don't have control over how they're sharing things, then we're failing them. I updated my grilling app, iGrill, today and it now has Facebook integration that lets you see what other people are grilling right now around the world. Awesome. 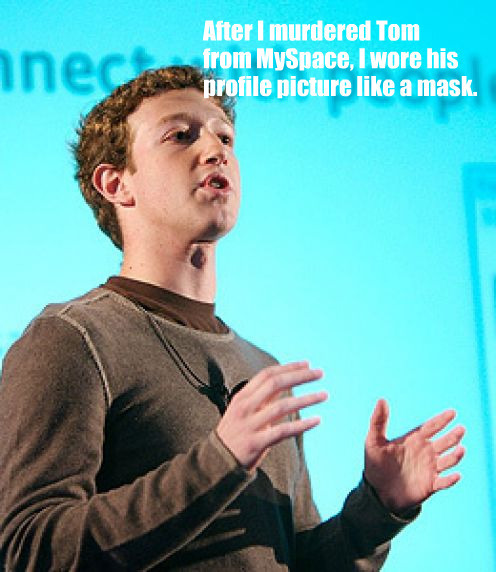 The real story of Facebook is just that we've worked so hard for all this time. I mean, the real story is actually probably pretty boring, right? I mean, we just sat at our computers for six years and coded. I look at Google and think they have a strong academic culture. Elegant solutions to complex problems. Our goal is not to build a platform; it's to be cross all of them. Listening and being curious and wide-eyed in the world, I think, is what allows us to move forward, progress, evolve and learn and alter our behavior and become more self-aware. I think that listening is kind of what it's all about.